Fashion Inspiration: Two Richmond Designers Share What Motivates their Creative Spirits | Arts and Culture | Style Weekly - Richmond, VA local news, arts, and events. Laurie Lay characterizes Richmond style as safe. She cites a lack of distinction between day and night wear, with people donning the same clothes to Target that they’d wear to a show that night. Like any applied art and design, fashion showcases the changing expression of trends in clothing, with good design taking into account both form and function. It’s also big business, with fashion accounting for more than $250 billion in sales in the United States. Patricia Brown, chairwoman of Virginia Commonwealth University’s fashion design and merchandising department, says that people love what’s new and exciting — and for many, fashion’s appeal is that it can be part of their outward self-expression. Growing up around sewing women propelled Lay into the world of fashion design, but it was a circuitous path. 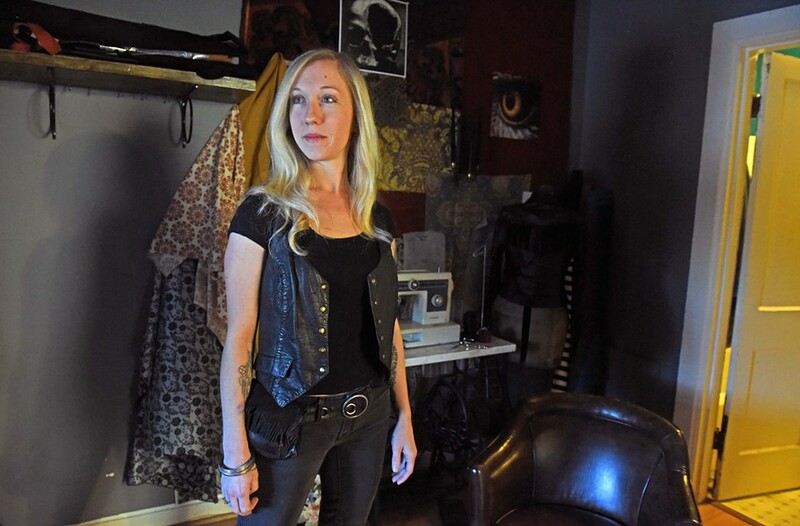 Detours to get a master’s degree in psychology, opening a restaurant and working for a friend making clothing for heavy metal bands prevented her from making it her life’s work until last June. She isn’t exactly looking to Richmond style for inspiration. Her line — jackets, pants, vests, shirts and jumpsuits — take its cues from the ’70s, with clean, relaxed silhouettes that can be dressed up or down. For Virginia Commonwealth University graduate Sue Kallamadi, it was a quarter-life crisis that landed her in the fashion business. An analyst by day with a degree in applied physics, she sensed that something was lacking in life when a friend gave her the push to start her own business. Although she wasn’t a seamstress or designer, she always had a knack for helping friends choose clothing. With financial backing from her parents, Kallamadi created Trunk Up online boutique, offering three lines: boho chic, preppy and glam for evenings. Working with vendors all over the world, she seeks out merchandise that customers aren’t likely to find locally and doesn’t hesitate to return garments when she’s dissatisfied with their quality. Her frustration lies in the abundance of fabulous Indian fabric that doesn’t make it to American clothing. “Being Indian, fabric and color are everything,” she says of the ethnic prints and bright fabrics that dominate a collection, with prices from $30-$55. Affordability is key. “I want to provide unique clothes that aren’t easy to find but are easy to wear.” she says. While a fan of Richmond’s eclectic clothing boutiques, her vision is strictly online. It’s also decidedly philanthropic. Her father moved to Richmond from India in 1993 with $50 and a dream, and the rest of the family followed in 1994. “He worked really hard to get us where we are,” she says. As part of her effort to give back, 10 percent of the company’s profits are donated to Global Hope Network International to sponsor a village in India. Those donations already have created a children’s computer center and supplied clean water for the village.